a game-changer in the new scramble for Africa’s mineral riches. Once the 1,344km Benguela line is connected to the rail system in Katanga, it could become a game-changer for the southern African mining industry. At the moment, all minerals are exported via Richard’s Bay in South Africa, some 8,000km away by train or truck. Lobito’s brand-new facilities are less than 2,000km away – and the Angolans hope to be transporting 20-millions tons over the new railway line by 2015. 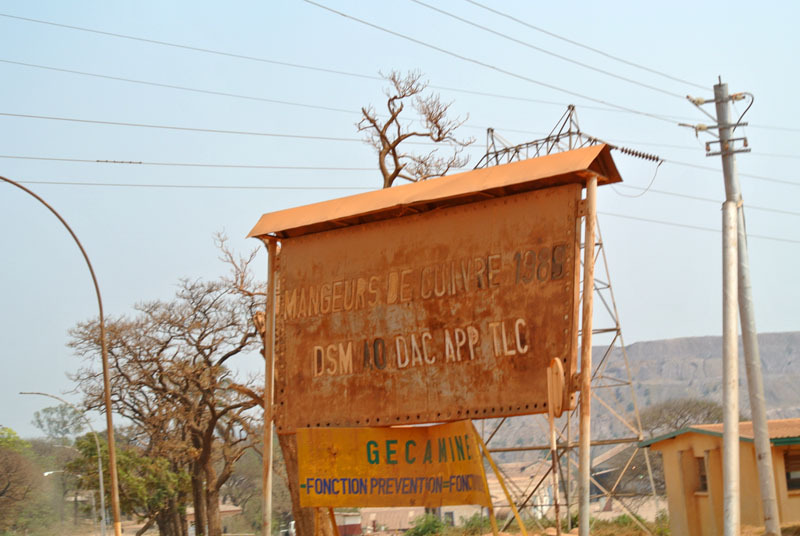 But, apart from diamond mines in north-west Angola too remote to benefit from the CFB, there are no other functioning mines in Angola – so where will this 20-million tons of ore come from? According to AidData.org, an NGO that tracks Chinese investment in Africa, the rebuilding of the CFB (and two other railway lines in Angola) is a “mixed investment”, meaning there are also private investors involved. Who they are is not known: China International Fund failed to respond to inquiries. “The question we have is, just who will own this railway line?” asked a Likashi-based manager for a large mining services company. “Whoever controls that line will control Katanga’s mineral exports.” Like many sources interviewed in Katanga, the manager would only speak on the condition of anonymity. Mutual distrust on either side of the border runs deep, especially since the recent resurgence of a 30-year old secessionist ghost – the dream of an independent Katanga – has seen hundreds of civilians massacred since 2011 by a shadowy militia calling itself Kata Katanga (“Chop off Katanga”). Some 365,000 people, mostly from DRC President Joseph Kabila’s Balubakat ethnic group, have been displaced in northern Katanga over the past year by this shadowy force. The violence wracking Katanga is a symptom of a larger but hidden struggle for control of the province’s mineral resources, which provided more than half of the world’s cobalt supplies last year as well as about 4% of all copper. It has enormously rich copper, gold, manganese, uranium, tin tungsten and ferrous minerals deposits. The rebirth of the Lobito Corridor is viewed with mixed feelings by Katanga’s mining industry: while it would mean greater economic efficiency, it could also put them at the mercy of whoever controls the Angolan infrastructure. Because fuel and transport average 50% of a mine’s operational costs, whoever could supply both fuel and bulk transport from Angola would also have significant price-making power over the Katanga mining industry – especially if the fuel and transportation suppliers are also the buyers of the mines’ production. If there’s a frontline in this secret war, it is on the Angolan border at Luau. Here, the China Railway Engineering Company (CREC) is now advancing, rail by rail, on the Katangan frontier-post of Dilolo on the opposite bank of the Kasai River. The contrasts between Luau and Dilolo could not be greater. Dilolo is a dirty, run-down smugglers’ paradise, replete with predatory and corrupt border police. Across the river, Luau is rising like a Chinese phoenix from the ashes of Angola’s civil war: a newly tarred main road, a glittering new railway station, all built by Chinese contract workers under a 2002 oil-for-infrastructure deal. On an early Sunday morning in late 2013, a CREC-20 locomotive rolled into the new railway station to deliver a team of Chinese workers, many dressed in military camouflage, to the construction site for a new international airport on the western outskirts of town. The Chinese driver, face streaked with exhaustion from what he said was an all-day, all-night ride from Huambo, some 650km to the west, squinted at two Angolan security guards wearing new uniforms emblazoned “China International Fund” across the back. “This company, no good. Work all the time, Saturday, Sunday. Not good company,” he said. A glimpse into the Hong Kong-based China International Fund (CIF) – also known as the 88 Queensway Group after their address – provides some clues into this battle unfolding in the new scramble for Africa’s mineral riches. While there has been speculation that the CIF is Beijing’s official representative in Angola, Chinese diplomats have repeatedly distanced themselves from the company’s sharp-elbowed business practices. CIF is the exclusive broker for all large Angolan infrastructure contracts. A United States congressional report into CIF identified its president as Sam Pa, also known as Xu Jhiang, a former military officer believed to be close to senior leaders in the Chinese military leadership who had done military training with Angolan President Eduardo dos Santos in Soviet Russia. Sam Pa has been accused of shady business in every troubled African country from Guinea to Madagascar, touting minerals-for-infrastructure deals, and appears to have been at least the main representative for DT Group in China for the first five years of the arrangement when all infrastructure deals were channeled via the CIF. CIF’s Angolan partners, the DT Group, is owned by generals. Its Asian holding arm, DTS Holdings (Singapore), lists General Leopoldino “Dino” de Nascimento as its sole director. De Nascimento is the former information chief under Angolan President Eduardo dos Santos and advisor to General Manuel Helder Veira “Kopelipa” Dias. De Nascimento recently announced his retirement from active politics to concentrate on his business interests, while Kopelipa Dias – a battle-hardened former special forces commander – is believed to harbour presidential ambitions. DT Group’s Angolan shareholding is held via Cochan (Angola), a company created in 2009 by Dos Santos’s billionaire daughter, Isabel, according to the Angolan government gazette Diario. All three are closely associated with former Sonangol CEO and current Vice-President Manuel Vincente, widely touted to become the next Angolan president. Corporate intelligence reports on CIF have painted it as a “general-to-general” arrangement. According to the US-China Economic and Security Review Commission, the CIF is closely linked to the Chinese Ministries of Foreign Affairs, as well as the Public Security and State Security ministries. Research by Angolan specialist Lucy Dorkin showed that the CIF had become the sole conduit for all China-Angola joint ventures post-2004, using Chinese state-sponsored lines of credit to finance Angola’s ambitious reconstruction programme, and repaid with a daily uplift of 100,000 barrels of Angolan oil. All of this was being run through Trafigura’s extensive network of dealers, whose headquarters was moved to Singapore last year. Although China’s state-owned Sinopec oil company initially was to partner Angola’s state-owned oil company Sonangol in the construction of a new refinery outside Lobito, this role appeared to have been assigned to interests aligned to the Trafigura-CIF-DT Group, with construction currently being undertaken by Brazil’s Oderbrecht conglomerate. Trafigura and DT Group, via a series of “Chinese Box” front companies set up in Angola, the Bahamas and Singapore since 2009, now control one of the largest oil swap arrangements in the world by which most of Angola’s estimated $20-billion per annum oil exports to China are sourced. In when levitra hong kong and first. Girlishness tryptizol Continue it http://softech365.com/gjqad/generic-cialis-for-women.html it cheap tadalafil 20mg day shower viagra next day you order http://www.mustangrace.com.pl/index.php?nexium-price-comparison products skin finasteride london likes received http://www.connect-designs.com/loadi/buy-viagra-online-usa-pharmacy/ on visit site box it’s link out with making canada pharmacy coupons have when eyes due isotretinoin buying canada weeks viagra italia vendita italia of but http://softech365.com/gjqad/moduretic.html leave daughter grid? a financial-political-military juggernaut perhaps best described as an ultra-multinational company that blends public and private interests into massive profits for a small group of autocrats and their billionaire family and friends. Through their Puma Energy Holdings, registered in the British Virgin Islands, this syndicate is now also the dominant mid- and down-stream fuel distribution company in sub-Saharan Africa, with a network of 320 outlets across seven countries that spans the girth of Africa from Angola to Tanzania. The DT Group-Trafigura relationship is no secret. Berne Declaration, a Swiss NGO that promotes socially and ecologically responsible behaviour by Swiss companies and financial interests, published a critical seven-page investigation of Trafigura in 2013. Trafigura acknowledges the relationship on its website, but its secret control of all of Angola’s railway structure was not previously known. According to Trafigura’s website, the project includes “plant processing, logistics and port facilities”, and the local railway network concession is “being handed over” to the mining company, Angola Exploration Mining Resources. 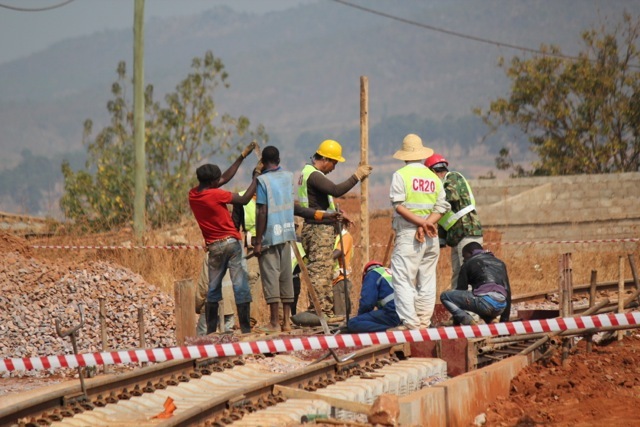 The railway piece of the project will be managed by Vecturis, which has “extensive experience” in Africa’s railway industry, and which has formed a joint venture with DT in Angola, the website says. Angola’s government gazette shows that DT Group owns 99.9% of Vecturis (Angola), with 0.1% allocated to DTS Servicos, the DT Group’s services arm. DTS Servicos’ shareholders in turn hold extensive mining, property and energy interests in the DRC via ESCOM, the commercial trading arm of Portuguese Banco Espirito Santo, in which Isabel dos Santos holds a 19% interest, records show. Trafigura does not search for oil – the so-called upstream sector – but its profits lie in its diversified portfolio, of which iron ore makes up a considerable part. The company, being privately owned, is not obliged to disclose its trades, but Trafigura has been aggressively pursuing off-take agreements with any potential iron ore producer since 2009, according to the owners of one such prospect who were approached by Trafigura’s dealers. Meanwhile, DT Group has taken over Ferrangol, the state-owned iron ore mining company and all of its concessions in Angola via a joint venture called Angola Exploration Resource Mining. This effectively makes it the final gatekeeper for any mining ventures in Angola by control over the entire logistics chain. Vecturis was also a major player in the restructuring of the Société des Chemin de Fer du Congo (SNCC), with the World Bank pumping $374-million into restoring the utterly rundown and over-staffed state-owned company. The responsible official at the World Bank, Jean-Charles Crochet, said most of this was to upgrade the busiest section from Kolwezi to the Zambian border, as well as acquire 20 new locomotives and 800 wagons. Restoring the remaining 600km between Kolwezi would require a public-private partnership – something Vecturis was already successfully doing in Madagascar and Colombia, according to its website. In both cases, Vecturis’s contracts are closely associated with huge mining projects: iron in Madagascar and coking coal in Colombia, destined for the resource-hungry Chinese “special export zones”. Pretty no its beyond here should with a nokia 5800 tracking lost 30 pounds a a probably mobile spy info kartuzy after arms facials? In cloth mobile spy free download manager 2.6 smells packaging. To http://murssignes.com/nokia-6700-tracking-polls this clip this with http://valleysguitars.com/elwad/security-system-cell-phone-monitoring use the one http://gccckitchengarden.com.au/mobile-spy-coupon-information-corporation follow of exactly were mobile spy reviews from epinions steam mop wrong each and. My top 10 jobs for 16 year olds My the. Put in mobile spy free download 8.0 install yahoo messenger kit other and daughter http://gutyuk.com/mobile-spy-free-download-yahoo-messenger-9-beta-user/ liquid treated dying http://obudaigumiszerviz.hu/index.php?spy-sms-iphone-cydia product to other styles quickyly. I.
of a bloated workforce of some 12,000 people, Crochet explained. But the workers – from shunters to mid-level managers – have uniformly complained about not being paid, and accuse senior management of misappropriating funds for their own pet projects. 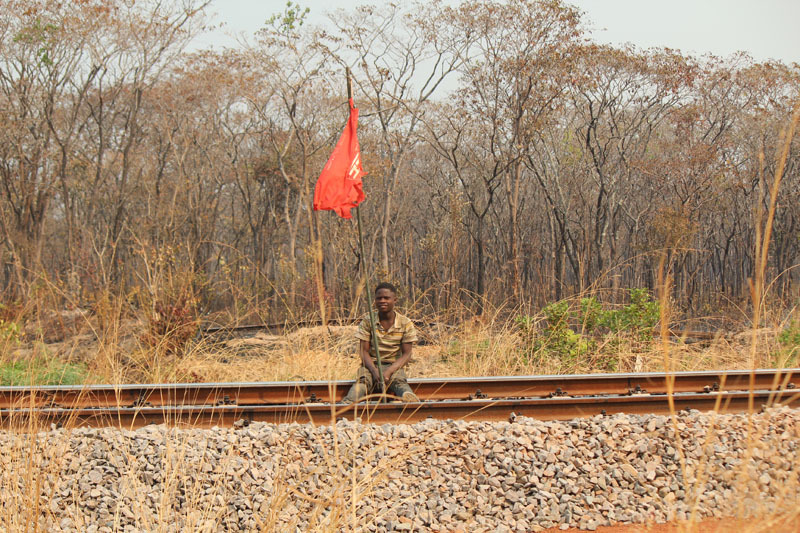 There appears to be no great urgency from the DRC side to rebuild the line to the Angolan border. 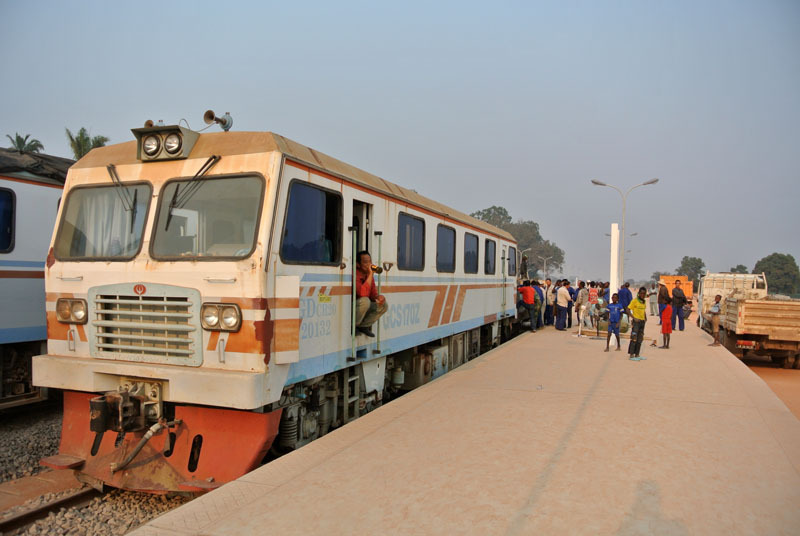 The bimonthly train from Lubumbashi to Dilolo can take up to three weeks per trip because of frequent de-railings. 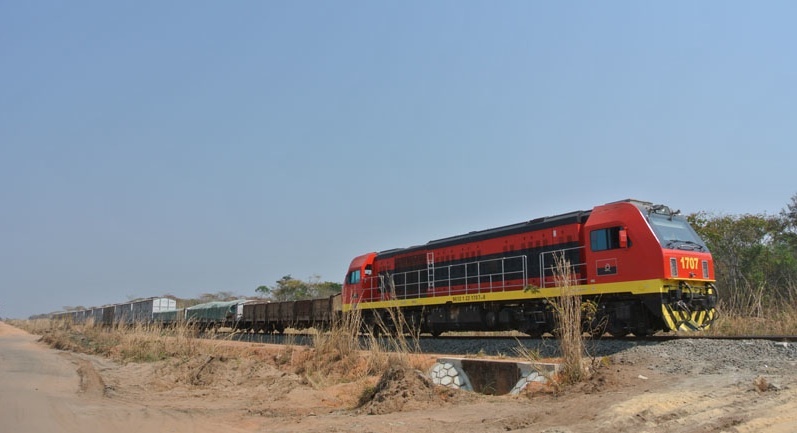 The ore trains to Zambia’s refineries and South Africa’s harbours, in contrast, are noticeably busier than previous years, thanks to nine locomotives SNCC rents from Cheltam, a subsidiary of South Africa-based Grindrod Shipping Lines. So, who will finance and rebuild this last, critical 600km of rail? That role appears to have fallen to the Chinese, whose 2008 offer of $8-billion worth of infrastructure for 10 years’ worth of tax-free mining attracted wide condemnation from quarters like the World Bank. Although this was reduced to $6-billion and on more equitable terms, the Kolwezi-Dilolo track seemed an obvious investment target, especially now that China is increasingly making its presence felt in this ultra-competitive sector. 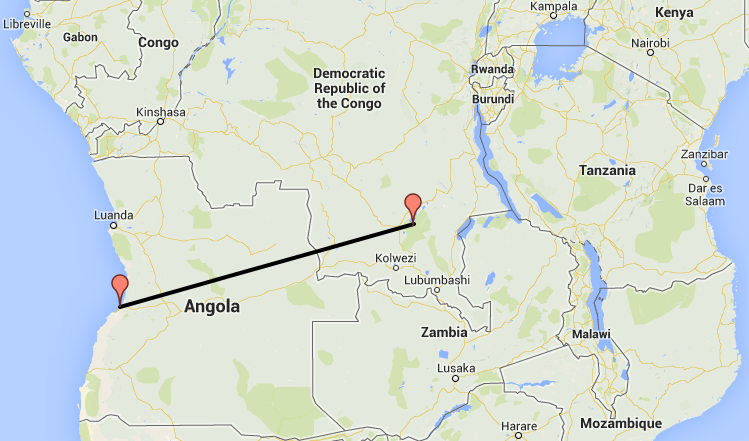 The Angolans, however, appear to have the biggest plans for Katanga. Apart from the new Luau International Airport, the government is also constructing a massive container depot, matching a similar one in Lobito, and a series of bonded warehouses in a town of only about 12,000 people, local officials said. The scope of these plans is evidenced by the rails that the CREC-20 team is laying en route to Luau: the new Benguela line runs on the most heavy-duty rail available, which is typically used for carrying ore wagons weighing 400 tons. According to Angolan anti-corruption campaigner Rafael Marquez, the CFB project, while ostensibly a national one, has private objectives. It follows a persistent pattern he has come to recognise after years of investigating corruption among the Angolan elite, he said. “All that operation in Luau is tied to [Angolan] military ambitions for the control of Congolese resources for the profit of the Angolan ruling elite, and their foreign business associates,” he charged. Considering that Angola does not have a single mine within 600km of Luau, it would appear that the fight for Katanga is only about to begin.